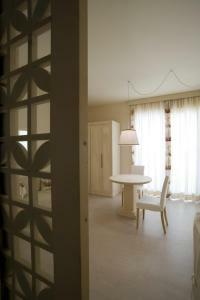 A-HOTEL.com - Luxury and cheap accommodation in Canino, Italy. Prices and hotel, apartment booking in Canino and surrounding. This indicative offer was derived from the most recently booked accommodation in Canino and sort by the price, from cheapest Canino accommodation to the most expensive hotels. To select accommodation by your preferences we recommend to choose from 7 accommodation offers in Canino in total. By entering the dates of your overnight stay in Canino and using the filter tools you can sort the best possible accommodation for you. The entered dates of your stay are crucial for the most accurate offer as it derives all the online information on pricing and availability of Canino accommodation. Then you can book the selected Canino lodging (hotels, apartments etc.) immediately. Offering free bikes and free WiFi, Agriturismo Terre di Musignano provides accommodation in Canino. All units include a private bathroom and have air conditioning, a TV and a fridge. Set in Canino in the Lazio region, Villino Alessia is a 4-star property boasting free WiFi. Guests staying at this holiday home have access to a fully equipped kitchenette. Located in Canino, Seven-Bedroom Holiday Home in Canino features accommodation with a private pool, private parking and free WiFi. Guests staying at this holiday home have access to a fully equipped kitchen. Resort Fonte Vulci provides accommodation with an outdoor swimming pool and free WiFi, and is situated in Canino. The accommodation is air conditioned and has a sauna. Located in Cellere, La Giuliva di Pianiano provides accommodation with a terrace and free WiFi. This apartment features accommodation with a balcony. Located in the Lazio countryside, 15 km from Lake Bolsena, Agriturismo Casale Bonaparte offers a spacious furnished garden and a bike rental. Wi-Fi is free in the entire building. Offering a garden, Casale Il Melograno is situated in Case Riminino. Saturnia is 41 km from the property. Located in Case Riminino in the Lazio region, Seven-Bedroom Holiday Home in Canino VT is a 4-star property featuring free WiFi. Guests staying at this holiday home have access to a fully equipped kitchen. Featuring garden views, Casale Di Vulci in Case Riminino offers accommodation, barbecue facilities and a garden. Complimentary WiFi is provided. Located in Case Riminino in the Lazio region, Holiday home Casa di Caccia is a 3-star property featuring free WiFi. Guests are welcome to go for a swim in the outdoor pool. Holiday home Casa di Pietra is situated in Case Riminino. Guests can go for a swim in the outdoor pool. Set in the Lazio countryside, La Vecchia Torre offers free bike rental, a shared terrace and a garden. The rooms are air conditioned, and feature a balcony and free Wi-Fi. Set in Case Riminino, Casa Daniele offers accommodation with an outdoor pool and barbecue facilities. Complimentary WiFi is offered. Set in Piansano in the Lazio region, Holiday Home Strada Capodimonte Km is a 4-star property boasting free WiFi. Guests may go for a swim in the outdoor pool. Set in its garden with outdoor pool, Agriturismo Poggio Torreano offers simply furnished rooms and a shared lounge. The property produces olive oil on site, and is 20 km from Lake Bolsena.